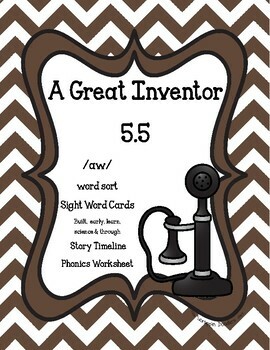 This product features the /aw/ sound in a word sort that aligns to Scott Foresman's Reading Street, A Great Inventor - Unit 5 Week 5. 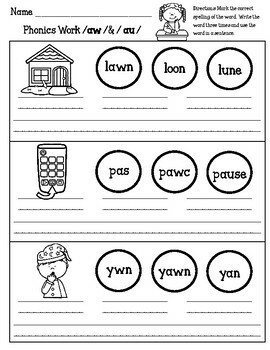 The word families used in this word sort are -awn and -aw plus the sorting of the high frequency words for the story. 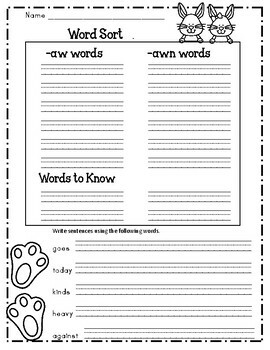 The packet also contains a reading game to reinforce sight words and phonics skills from the story. The word sort was designed for a small group activity. 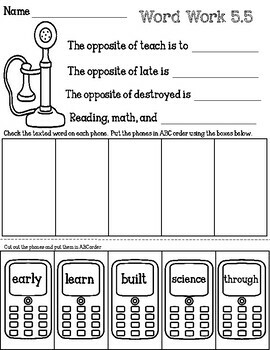 The word cards can also be used for cooperative learning activities like Quiz, Quiz, Trade and Fan and Pick.